Check out some fun ideas for our unique designs! Protect your iPhone 6S phone with this unique custom slim case. 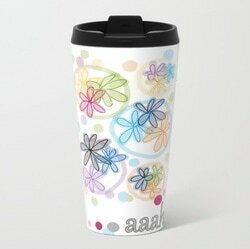 Take time to breathe with our "Aaahh" Design series! 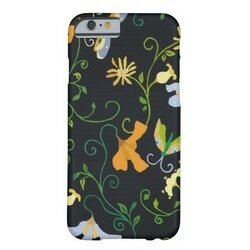 Enjoy the feeling of nature with Floral & Circles Design as you talk, text, and surf the web! 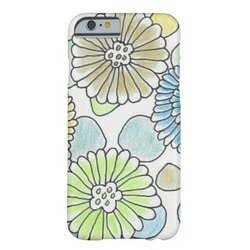 The original Florals & Circles design, done in crayon and marker on white background by DB-R Designs and printed by Case Mate. Our Nightscape Blooms iPhone 6 case is great as you talk, text, and surf the web. The original Nightscape Blooms design is painted flat in guache by DB-R Designs and printed by Case-Mate. A 360-degree wraparound design for this metal stainless steel travel mug which is double-walled for cold or hot beverage. Great housewarming, birthday, or work-out gift! Couple our scarves with these awesome Eiffel Tower wallets!